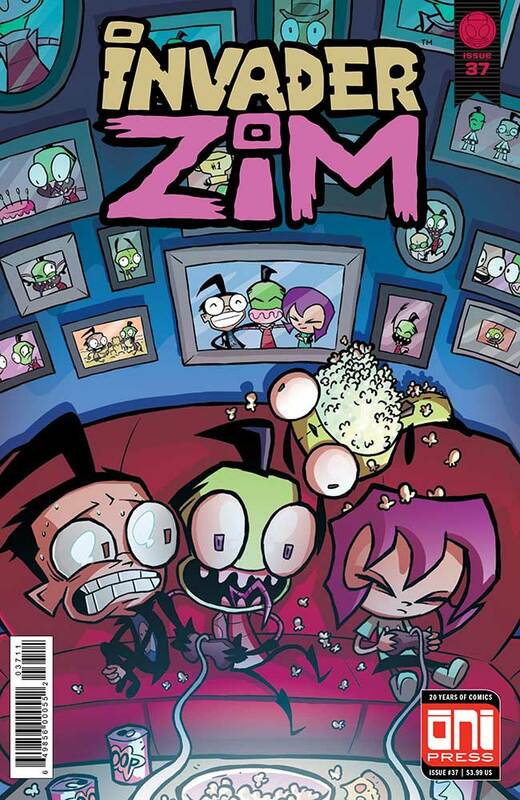 When Dib wakes up one morning to find ZIM inside his house, eating breakfast with his family, he’s confused. We are, too. Check out this sneak peek of Invader ZIM #37 from Oni Press.